The Goldfinch was all the rage last year. It seemed like it was on everyone's must read list. It won the Pulitzer Prize. From the little I read I thought it might be in the "something horrific happens and how do we go on with the rest of our lives" genre. I generally avoid this genre. I spend far too much time thinking "What if (fill in awfulness here) happens". Reading is my anodyne to the stress of my mind and life. I avoided the book until I saw it at the library. My initial impression was correct; it is horrific event fiction. In fact, it is one long series of horrible happenings. 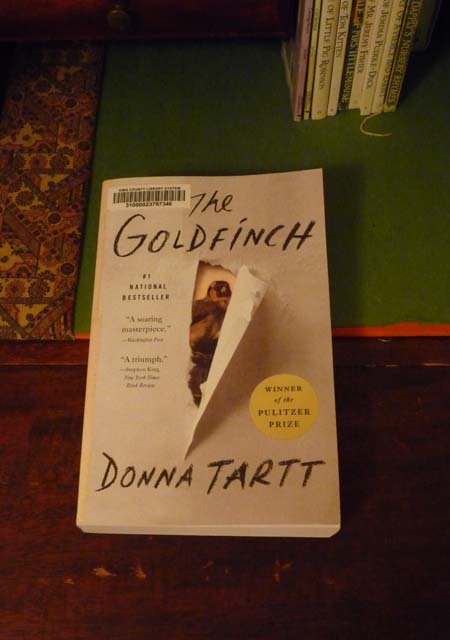 However, the writing is engaging and Tartt creates a terrific sense of place. I hung on until the middle when the main character's constant musings finally made my eyes glaze. Then I skimmed. More bad things happen and much musing about those bad things. The character concludes that life is a pit but maybe a thing of beauty can sustain you. Gee, thanks. I feel much better. Pass me the vodka. And why did Boris, who spent a good part of his formative years in the U.S., still, as an adult, speak English with a bad Hollywood Russian accent? Just because he was Badenov's namesake doesn't mean he couldn't master syntax. Overall I didn't like the book. Some parts are memorable but the main character isn't as interesting as those surrounding him. For July I am reading Flashman by George MacDonald Fraser. "Hilariously funny" says the N.Y. Times Book Review. We shall see. Book count so far: 59. I too kept seeing this one on lots of blogs and it seemed to be very much a Marmite book. I had it on my wish list for a while but as most of the reviews were against rather than for I decided to delete it and go for something a little more interesting. 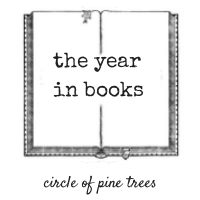 think I may be just behind you on the book count at around 51 or 52 books so far this year. I like to keep a tally if only to see the reaction of my son when I tell him how many I have read over the last year when he reads may 1-4 in any 12 month period. Sometimes I am suspicious if books are too popular. I am intrigued by the term Marmite book. What does it mean?